Character Playbook -- now in its third year -- is a key part of the 45-year partnership between the NFL and United Way. This all-digital, in-school program powered by EVERFI teaches students how to build healthy relationships, make good decisions and stand up when they see questionable activity. To date, more than 350,000 students in nearly 3,700 schools have used the digital program as a tool for personal development and success. This year's Super Bowl Experience in Atlanta served as the backdrop for the January 31st announcement of the nationwide expansion of Character Playbook. It has been the site of United Way’s immersive virtual reality game that offers participants the chance to “Call The Play” when faced with challenging social situations like bullying. As noted by New Orleans Saints linebacker Demario Davis within our January 31, 2019 interview about Character Playbook: "It's so important to me because I'm so passionate about the youth, especially about character development. Character Playbook fits in that mold because it gives them real-life situations where they have to learn how decisions affect the outcome of their life. So they're able to see situations, and based on those choices that they make, it plays out a scenario for them. They can see, based on the response they choose, it can affect you negatively or it can affect you positively." Continued Davis: "I think it's an amazing program. I've been blessed to partner with United Way to bring it to my summer enrichment program in Mississippi. Now that it's made available free to all middle schools and high schools, I'm gonna be speaking with influential politicians to bring it to Mississippi and bring it to every school throughout the state." 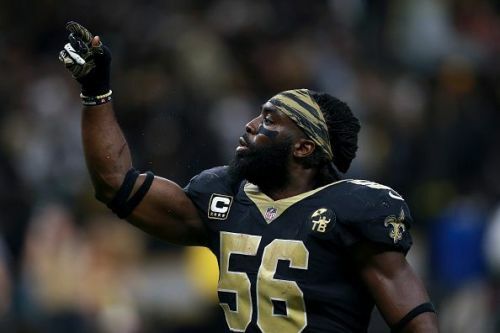 My full Q&A with New Orleans Saints linebacker Demario Davis is embedded above for your viewing pleasure. More on the NFL, United Way and Character Playbook can be found online at www.characterplaybook.com. Joey Fatone on football, Super Bowl LIII & working with Heluva Good!